This week I am featuring Hannah Becker of The Motivated Millennial. 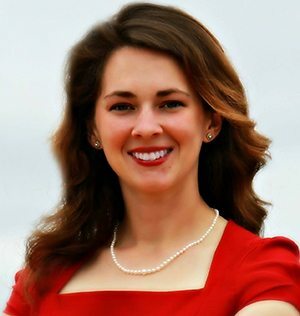 Hannah owns an online retail store and local service company and is currently working on her first book. Don't forget – if you or someone you know can help out the featured entrepreneur with their area of need (see question #4), be sure to leave a comment! Also, if you would like to be the next entrepreneur featured, learn how at the end of this post. Flying, so I could shave valuable minutes off my commutes. I’ve always found “traffic time” to be a little frustrating, as it is neither relaxing nor productive, and would love to minimize the time commitment traditional transportation usually requires. Toby Keith’s How Do You Like Me Now. Since my elementary school days, I’ve always struggled with school, and was routinely called “stupid” or “dumb” by both peers and teachers. It wasn’t until my early twenties that I recognized such accusations were largely unfounded, as while I was unable to scrape out anything more than a D in college algebra, I had quite the knack for creating profitable businesses. It’s been very gratifying to have the opportunity to run into those teachers, professors, and classmates that criticized my abilities, and listen as they ask me (the “dumb” one) for job opportunities and business advice. I’d always hoped that one day Toby Keith’s song, “How Do You Like Me Know?” would come true for my life. One’s personal successes provide irrefutable validation of one’s abilities. I loved communication expert Leil Lowdnes’ How to Talk to Anyone. Lowdnes practical communication and conversation tips “meet you where you are”, and can greatly enhance the quality of relationships whether it’s personal or business. As my business has continued to grow, I just don’t have the time to provide its social media marketing the attention it requires. I’d love to outsource my business’ Facebook, Twitter, and Pinterest management. PC. I use the exact same laptop I’ve had since college (6+ yrs old); am a creature of habit. Pinterest. I absolutely LOVE Pinterest. Incorporation of product pins for my online retail store has greatly increased our sales and following. Best ROI of any social media marketing I’ve invested in, as high conversion rate of our Pinterest followers making purchases. I clog; it’s like tap dancing to bluegrass music. I spent a few years of my life living in the Shenandoah Valley of Virginia, and quickly feel in love with the rich folk heritage of the Appalachian Mountains. I own an online retail store and local service company. I am currently working on my first book, “The Motivated Millennial: An Entrepreneurial Guidebook for Generation Y”. Connect with me online at www.themotivatedmillennial.com and on Facebook. 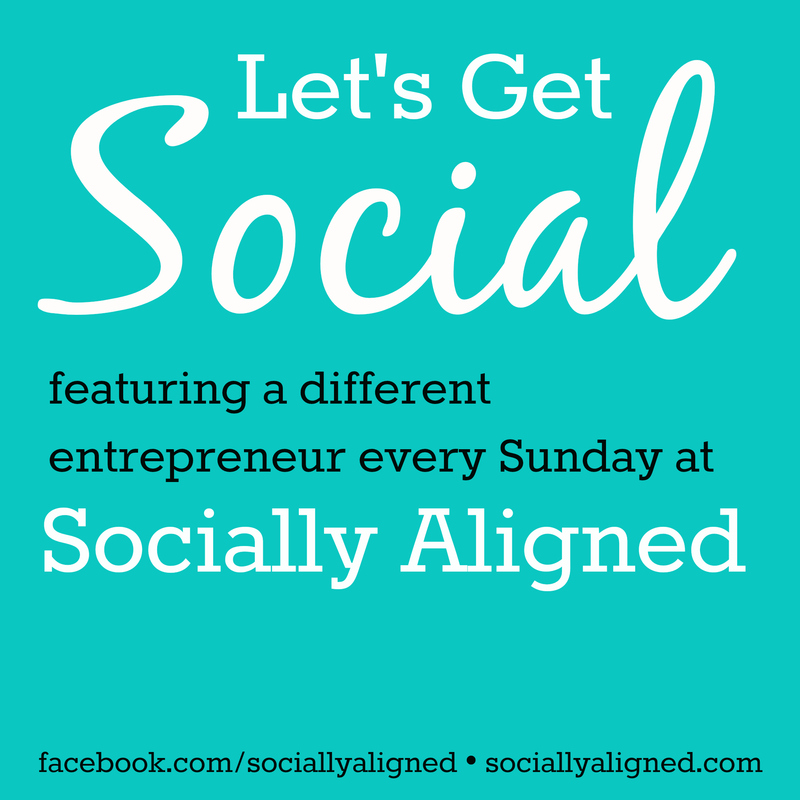 Post by Julie Lowe: Socially Aligned. If you're an entrepreneur and would like to join in the fun, email julie@sociallyaligned.com with YOUR answers to these same questions, and you could be featured here next week! Don't miss out on the next edition of Let's Get Social! 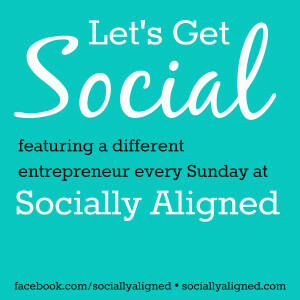 Sign up for the Socially Aligned email list. Tired of missing opportunities online? Need some guidance and a REAL PLAN to grow your business using social media? Click Here to sign up for a FREE 30-Minute Marketing Makeover Session. We can talk about your marketing struggles and solutions that can help.